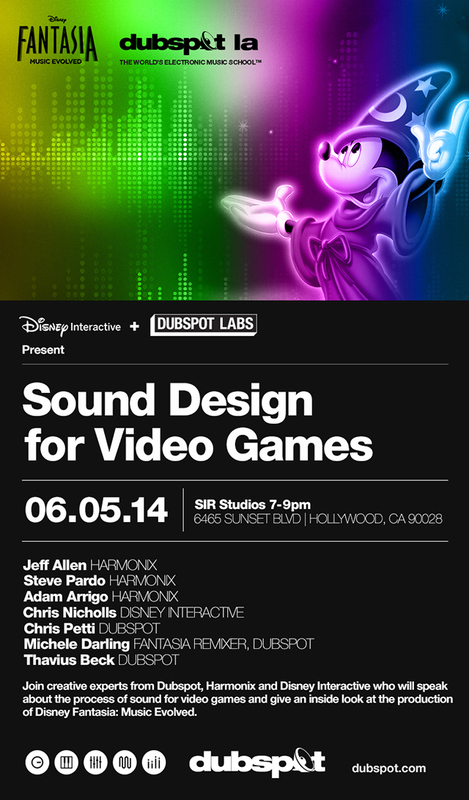 Dubspot LA & Disney Interactive Present: Sound Design for Video Games + Previous Contest Winner! Join Dubspot LA and Disney Interactive on Thursday, June 5th for Sound Design for Video Games, an inside look at the audio production and engineering process behind Disney Fantasia: Music Evolved. Attend this workshop and get a chance to win a free Dubspot Los Angeles Sound Design Program and Native Instruments Komplete. Congratulations to David Sien! 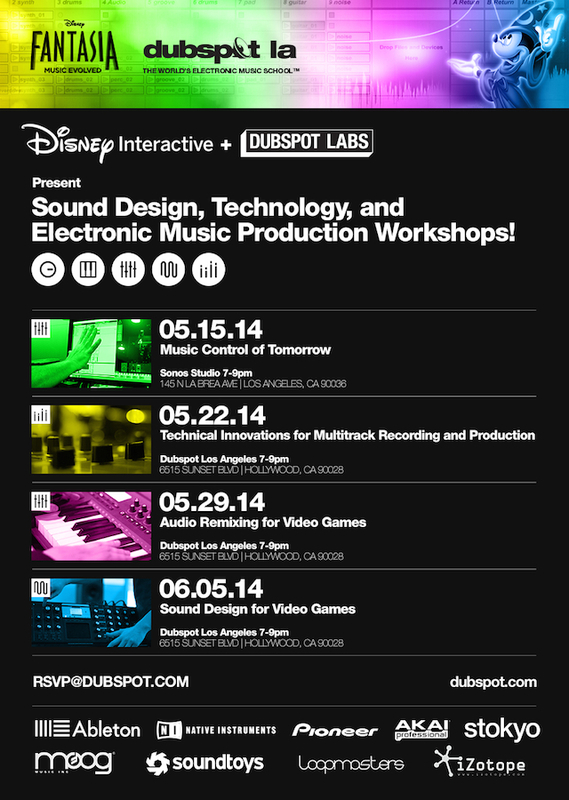 You’ve won a Dubspot Los Angeles Maschine Program at our previous Dubspot LA and Disney Interactive workshop. Head to Dubspot LA to experience and enroll for courses starting in June. Enroll before June 17th and save 15%! 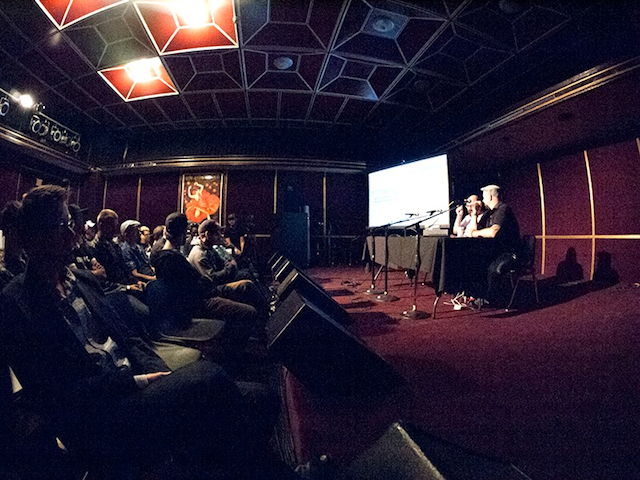 (above) Alexander Rannie and Daniel Wyatt speaking at our 5/29 Dubspot + Disney Interactive workshop. 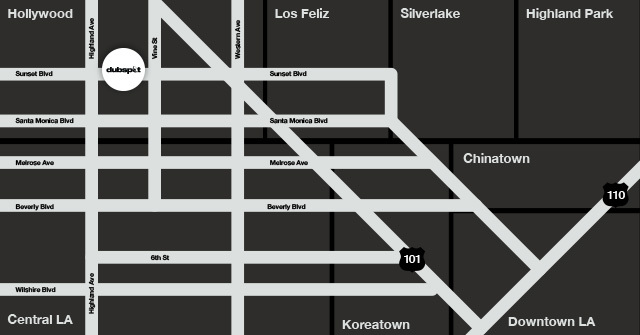 Interested in attenting Dubspot LA? Act now, enroll before June 17th and save 10% off Dubspot LA courses!